Navarra export catalogue - Bertako, S.A.
Bertako was founded in 1975, and since then has manufactured folding cartons, and marketed packaging systems. 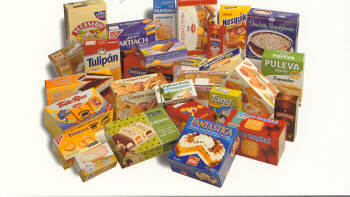 Our products include all types of offset printed containers in solid board or litho laminated board. 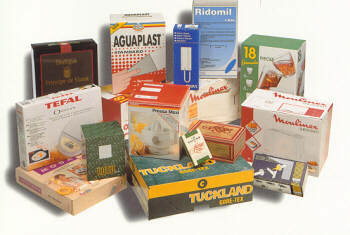 We also have methods of producing special boxes with complex internal ( for podwer products), boxes with reinforcement ( detergents) and lined boxes. The printed surface can be finish with all kinds of varnish ( ultraviolet, high gloss water or conventional vernish).